It’s that time of year! The holidays have come to an end, New Years resolutions are in full force, and of course the pet blogging community comes together to share their most intimate blogging secrets during the Pet Blogger Challenge! Well, maybe not our most intimate secrets, but if you read through all your fellow pet bloggers posts then you’ll definitely find at least one piece of advice to help you along your blogging journey. If you’re a pet blogger then please come join the fun by answering the same 10 questions I’m answering here today, join the linky party, and read/comment on your fellow pet blogger’s posts. As always a special thanks to Amy at GoPetFriendly.com for hosting the 8th annual (8 friggin’ years!!!) Pet Blogger Challenge. My proudest blogging moment of 2017 was finally finishing up my series of blog posts on raising a litter of Golden Retriever puppies. It just so happens I published the final blog post in the series on the puppies first birthday 🙂 It was fun way to showcase some of the adorable pics of our 6 little fur balls. Guess what? A new litter of potential service dogs has arrived! We’ll be chronicling their journey to become service dogs starting with our whelping checklist blog post. A trip down memory lane. 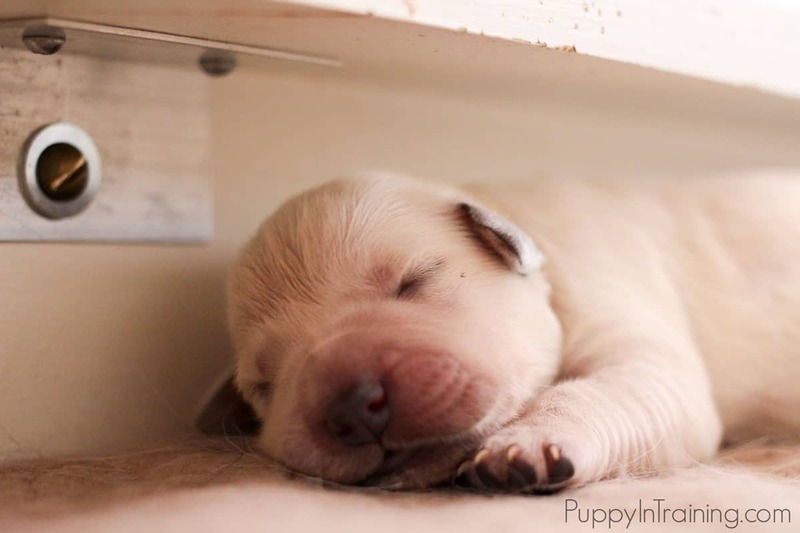 I did a recap post and listed the 11 puppies (and pics) I raised over the years. If you want to know a little more about our puppies then check out Meet The Puppies (at the very least you’ll enjoy some adorable puppy pics)! “Fortune and glory kid, fortune and glory…” –name that movie! I’m an analytical mind so things like number of pageviews and subscribers are important metrics. One metric that I find very important that has eluded me is engagement. I’m still searching for my 1,000 true fans. The biggest change to my blog in 2017 was changing ad management companies moving from Google AdSense to MediaVine. This was a game changer for me and made me realize that I can make a full time income from blogging. The minimum requirement to join MediaVine is 25,000 Sessions/Month. If you’ve reached this threshold and you’re okay running ads on your site then I’d highly recommend MediaVine. Luckily I haven’t had too many challenges in 2017. Most of my major hurdles have gone smoothly. However, when it comes to blogging I’m a DIY guy. This year (per Google’s request) I wanted to secure my blog by adding an SSL certificate. I wanted to ensure that everything went smoothly so I employed a WordPress specialist to take care of all the technical details. Needless to say everything went flawlessly. No headaches, no worries, no problem! So, what did I learn? It’s a good idea to get help when you don’t know exactly what you’re doing. I’m pretty good with the technical aspect of blogging, but I’m not an expert. This is a great question. If you’ve been blogging for any period of time then you’ve probably been hit by trolls, received a DoS attack on your server, or even had your database hacked by someone in China. Not long ago I decided to put together a testimonials/thank you page that contains positive thoughts from some of my readers. When I’m feeling down about blogging I visit this page which reminds me that I can and do make a difference for at least a handful of people. My big goal for 2018 is to put together another video series following my next service dog puppy in training. Last time we were able to raise and donate $1,150.00 to Guide Dogs of America. This year we’re hoping to do more and we would like to partner with bloggers, brands, and readers to help educate people about service dogs and puppies in training. If you’re interested in partnering with us please leave me a comment or send me a message through my contact form. I’m enrolled in an online course called Elite Blog Academy to help improve #1 – #3 on my list. If we’re only talking about one skill then it’s definitely improve everything about building and utilizing my email list. I have over 5,000 subscribers. It’s getting expensive and I’m not seeing the ROI. Someone please give me some tips on building and utilizing an email list!? In 2018 I plan on raising another puppy to be a service dog and I’d like to partner with other bloggers to help promote the series of blog posts and videos. In exchange I’d be happy to do similar promotion for your blogs, videos, and social media. If you’re interested leave me a comment or message me through my contact form. Okay folks, that’s a wrap. If you’re a pet blogger be sure and join the party! I am so excited to follow you! I didn’t realize the service dog aspect and signed up immediately to your E-mail list. Shasta was our senior rescue and helped me launch our local hospital’s Pet Therapy program (he was the 1st Pet Therapy dog with them and the hospital made a video https://youtu.be/VlN_Q72UfLM). We will be sharing our love for Harley and Shasta by rescuing another this year and I want to make sure they will be able to work as a Therapy Dog and Service Dog for my PTSD. I’ll be blogging about it but can definitely use the advice you and your blog have to offer! Thanks for stopping by! We’ve been raising service dog puppies for the past 10 year mostly teaching basic obedience skills, socialization, and good house manners. Right now we have a litter of Golden Retriever puppies that are prospective service dogs. We’ve been working with the puppies everyday since they were born. Our goal is to keep one to raise and train as a service dog then donate him free of charge to an individual with a disability. We used to volunteer as a foster with our local rescue and we adopted our first dog, Linus many years ago. He’s a great dog, but wouldn’t be able to work as a service or therapy dog. Best of luck to you on your journey rescuing your new dog this year. By the way, one thing I’d be interested in reading on your blog is how you go about finding a rescue dog with the right temperament to be a therapy dog and a service dog. You should really pat yourself on the back for keeping this up since 2007. That’s seriously impressive! Most people who decide to “start a blog” probably post like 3 times and then never post again, so sticking with it for over 10 years is really something. Thanks for stopping by! Yes, I’ve seen a lot of blogs come and go. There a few that have been around for over decade, but not many. The big think I need to work on is get more consistent with my posting. Have a great 2018! Thank you for mentioning us, Colby! We’re so glad you came to us in 2017 and CONGRATS on 10 years of blogging. What an accomplishment! I’m Jenny, the Marketing Associate for Mediavine, and we’re here to help digital content creators passively monetize their content with programmatic display ads. As you mentioned, our threshold to join is 25k monthly sessions. We started out as publishers and we are still publishers with our own sites, so we really believe in publishers being compensated for their awesome content. We’re here to answer any questions at publishers@mediavine.com. No problem. We’ve really enjoyed our short time with MediaVine. I just wish we could have gotten into the conference next month. Maybe next year. WOW, Great post. Pet Blogger challenge 2018 was wonderful, Next time I’ll surely join. I have gone through all of your answers & I came across a lot of information which is very helpful for me. When will you publish your mini video series on dog puppy in training? Your guide is very helpful for bloggers. I’ll contribute as much as I can. Thanks for your answers! Cheers! The original plan was to start the video series this past February, but we had some road blocks come up that has delayed our launch date. Now we’re looking at either end of 2018 or sometime in the beginning of 2019. We’ll keep you posted. Thanks for stopping by! I was thinking about a new blog. Thanks for the tips. Hi Colby – I just read your article! I just heard about this challenge so I googled it up and your post came up first! Thank for sharing. Also that video of service puppies and the scene with them in the basket just got me undone lol. It’s good to know whatever I’m doing with SEO is working. Although I’m sure “Pet Blogger Challenge 2018” is not the most highly searched keyword phrase. I’m glad you liked the video. I’m testing Mediavine video ads and that video actually runs site wide. I’m hoping it doesn’t distract user experience too much and hopefully some readers find it entertaining/informative.